Winning two prestigious solar industry awards, Baker Electric Solar was recently named 2014 “Commercial National Top Producer of the Year” and “Residential Regional Top Producer of the Year” at the National SunPower Dealer Conference in San Diego, California. A full-service solar provider and San Diego’s first SunPower Elite Dealer, Baker Electric Solar achieved the awards for its outstanding performance as a SunPower dealer in 2014. With a global network of more than 1,200 solar installers, SunPower’s best-in-class dealer program has around 500 installers located in the United States. The “Commercial National Top Producer of the Year” award is given to SunPower dealers with the highest shipment volume in North America for commercial installations. The “Residential Regional Top Producer of the Year” award honors dealers having the highest shipment volume in their region for residential installations. In 2014, Baker Electric Solar installed a total of 35,547 high-efficiency SunPower panels for both commercial and residential customers. In addition to the prestigious SunPower awards, Baker Electric Solar was named one of Solar Power World Magazine’s “2014 Top 400 Solar Contractors in North America”. For two consecutive years Baker Electric Solar has also earned the service industry’s esteemed Angie’s List Super Service Award. Angie’s List, a popular local services marketplace and consumer review site, honors top companies with the Super Service Award for providing outstanding service to site members. 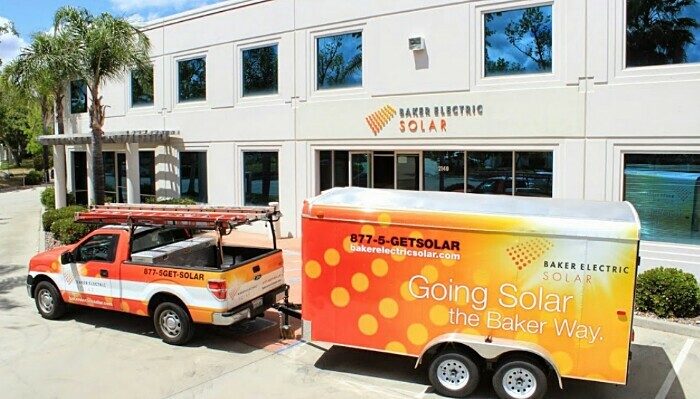 Based in San Diego, Baker Electric Solar designs, builds and installs photovoltaic solar energy systems for new and existing homes, commercial facilities and utility-scale projects across Southern California. With an A+ rating, Baker Electric Solar is a BBB accredited business, recognized by the San Diego Business Journal as a ranking Clean-Tech Company, Alternative Energy Supplier, and one of San Diego’s Fastest Growing Companies. 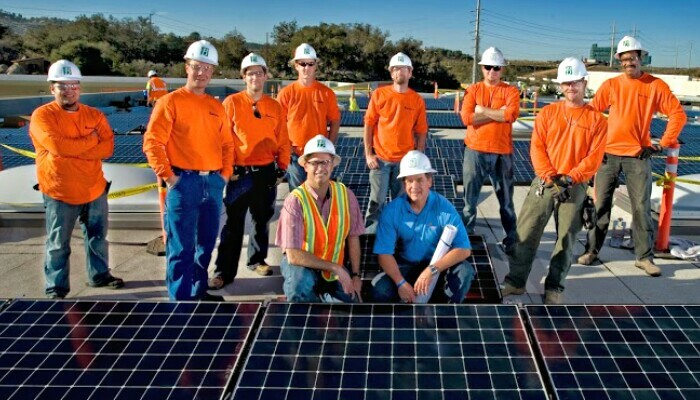 Baker Electric Solar personnel. © Baker Electric Solar.